Carbonfootprintmanagement.com aims to accelerate the reduction of greenhouse gas emissions. This acceleration is realized by informing, inspiring and activating small en medium sized enterprises in how to save energy and generate renewable energy. By doing so, we hope to contribute to combat climate change and preserve sustainability in businesses. Rob van der Rijt is founder of Carbonfootprintmanagement.com. He previously worked as a communication consultant and CSR coordinator at Rabobank. Subsequently, when he worked for Climate Neutral Group, he directed dozens of companies towards carbon neutrality. 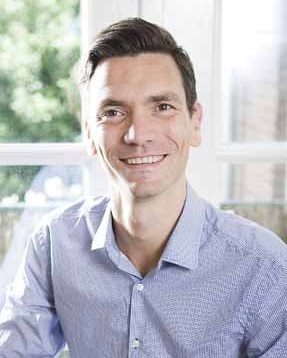 Rob also wrote articles for the Working Group CSR & Communication at Radboud University and contributes to the blog of the online magazine ‘The optimist’. In April 2013, Kluwer published his book “In 5 Steps towards a carbon neutral business”. In the Netherlands he established Klimaatplein.com, the Dutch equivalent of Carbonfootprintmanagement.com. Klimaatplein.com is visited more than three quarter of a million times and refers to about 70 commercial partners. By creating awareness and providing concrete and practical solutions it is Rob’s hope that, together with his partners, he will contribute to a greener and more sustainable world. With the help of a publicly accessible and free 5-step roadmap towards carbon neutrality entrepreneurs work directly on their carbon neutral business. In addition, organizations keep informed and inspired through the Blog and Twitter account @carbonfootprintmgmt. And finally we communicate with the help of a digital newsletter.